When talking about public transportation, New York City is usually mentioned as having the best in the country. The reason being, they propel innovative traffic policies, maintain the upkeep of their infrastructure, update the speeding ticket cost and will make it easy for you to walk if you chose not to go with prior options. New York City has proposed a new plan of action very recently, and the proposition is causing a bit of an interesting dichotomy among its residents. The city has always been faced with heavy traffic problems, not even defensive driving could fix this issue. The traffic problems have been making it a major challenge for truck drivers, ride share drivers, and taxi cab operators to continue their business in the city. A recent proposal will enforce drivers, traveling in certain areas of the city, to pay a small charge. We’re breaking all the elements down in New York City’s new pay-to-drive plan. The goal of the pay-to-drive plan for New York was set in place when the growing traffic became an issue. Moreover, the public transportation in the city has seen better days. The subway system, a major contributor to New York’s public transportation system, has been in the decline in recent months due to poorly managed upkeep in recent years. Last June, Governor Andrew M. Cuomo declared a state of emergency over the failing rail system in the city. Budgeting for the transportation in the city had been reduced to allocate funds, and, as a result, the proposition for pay-to-drive was born. The city wants to expand the budget for public transportation in the city. To do so, they first have to make the money. Manhattan is one of the most congested cities in New York. That’s the main reason why the city volunteered to test drive this new proposition… because it is the core of the busiest part of the Big Apple. More specifically, the range of this pay-to-drive will focus on Manhattan south of 60th street, according the New York Times. The price drivers will have to pay varies depending on the type of vehicle they’re driving while passing through the district. 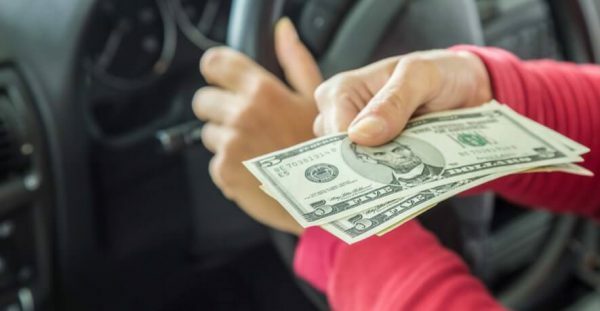 Drivers who are behind the wheel of a “regular” automobile/car will have to pay upwards of $11.52, while truck drivers will have to pay $25.34. Taxi drivers will pay around $2 to $5 when entering the area. The idea of inserting a pay-to-drive policy is double-sided. It serves as a persuasive maneuver to discourage drivers from entering the area, while also accumulating funds from the people crazy enough to go through the zone. The funds will then be invested into rebuilding and maintaining a better public transportation infrastructure. Ideally, creating an area where drivers are discouraged to drive in will increase the demand of subways, trains, and buses. Overall, the plan will go hand-in-hand with reducing the city’s carbon footprint and increasing the physical footprints… as in walking in the streets. The model of paying for entry in certain city districts came from another large metropolitan area… in Europe. Cities such as London have adopted a similar traffic management system to discourage traffic in areas that are highly congested. The systems placed by European officials have received positive feedback, which gave New Yorkers even more reason to encourage the policy shift. The nation will be watching as New York instills this new proposition. If done successfully, it could change how other cities in the United States manage their traffic in the future.